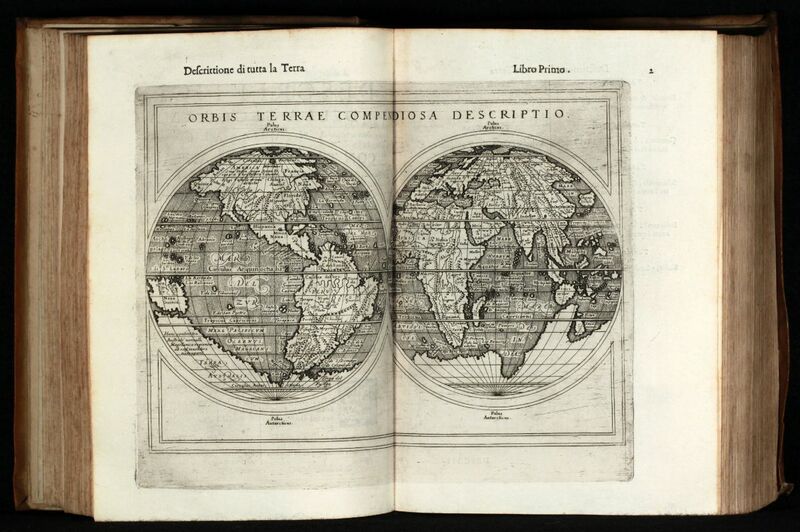 A 16th century Ptolemy Atlas, published by the Hires of Sessa in Venice during the years 1598-99. Sixth edition of Ruscelli's translation of Ptolemy's Geografia edited and extended by Giuseppe Rosaccio published by the Hires of M. Sessa in 1598 and 1599. 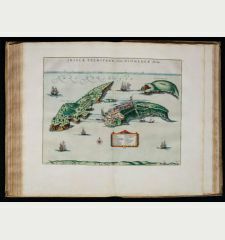 Illustrated with 69 double page engraved maps and several woodcuts in the text. 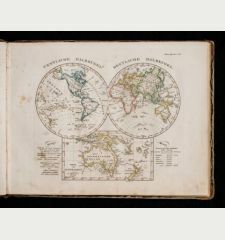 Whereof 27 Ptolemy maps and 42 'modern' map, including 4 world maps (one Ptolemy /Shirley 133, three modern /Shirley 110, 111, 217), 7 maps of America (Western Hemisphere, South America, Mexico with Florida, Brazil, east coast of North America, Haiti, Cuba), 28 European maps (including the North-Atlantic map with parts of Labrador), 10 maps of Africa and 20 maps of Asia. The Valgrisi copper plates of the earlier Ruscelli editions have been revised by Rosaccio and extended by five new plates. 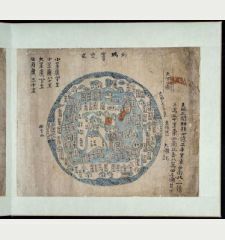 Most of the Ptolemy and Modern maps have been extended by cute illustrations as ships, sea monsters, fishes, trees, figures and with additional place names. Rosaccio did not forget the geographical relation and reference to the text in the maps. A morbid example can be found on the Brazil map, where R. underlined the text 'Gli indi natij di questi paesi mangiano carne humana' (The Indians of these countries eat human meat) by a cannibal illustration. Another interesting addition is the southern continent on the modern world map (Shirley 110, now 2nd state). 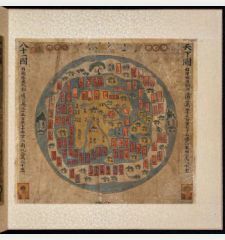 The second modern world map (Shirley 217) is almost certainly from Rosaccio himself. 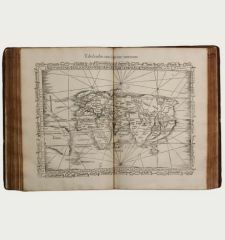 Shirley mentioned 'the engraving is sharp and neat, and is a skilful reduction of Rumold Mercator's map of 1587 but with parallel latitudinals'. 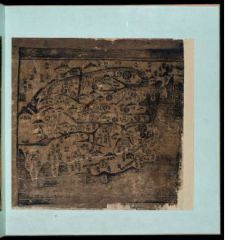 In addition to the new world map, R. added continent maps of America (Burden 86), Asia, Africa and Europe. Minor worming in white margin, marginal dampmarking or foxing. 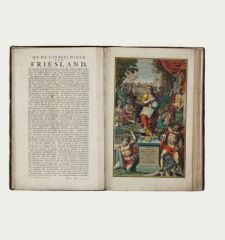 A fine complete and clean copy with strong impression of the engravings. Girolamo Ruscelli: Geografia di Claudio Tolomeo Alessandrino Tradotta di Greco nell'Idioma Volgare Italiano da Girolamo Ruscelli.